The Federal Reserve might raise rates sooner than you think. "You could probably make a case for moving in April," St. Louis Fed President James Bullard told Bloomberg Wednesday and reiterated his stance in a speech early Thursday morning. Bullard, who is a voting member of the Fed's policy-setting committee, said a rate hike would require another strong jobs report next week and solid inflation numbers. His comments seemed to catch investors a little off guard, since most are betting on a very low likelihood of a rate hike in April. That's because Fed officials cut rate hike projections for 2016 to just two from four after not raising interest rates at last week's meeting. Bullard's comments -- coupled with others from his Fed colleagues -- are raising eyebrows on Wall Street. "The wind might once again be blowing in the direction of a rate hike sooner rather than later," says Ed Yardeni, chief investment strategist at Yardeni Research. The comments added further pressure to the stock market, which is already nervously watching oil prices fall about 7% lower in just the last two days. The Dow shed 100 points before recovering some losses Thursday. The S&P 500 and Nasdaq fell too. Oil was off over 2% Thursday. Bullard isn't alone. San Francisco Fed President John Williams said earlier this week that "April or June would definitely be potential times to have an increase in interest rates." And the Philadelphia Fed President Patrick Harker said Tuesday he would support a rate increase soon. All the bullish rate hike commentary comes just a week after the Fed sounded slightly bearish about the economy. Its committee lowered its forecast for economic growth this year to 2.2% from 2.4%. It also cut its estimate for inflation for this year to 1.2% from 1.6%. 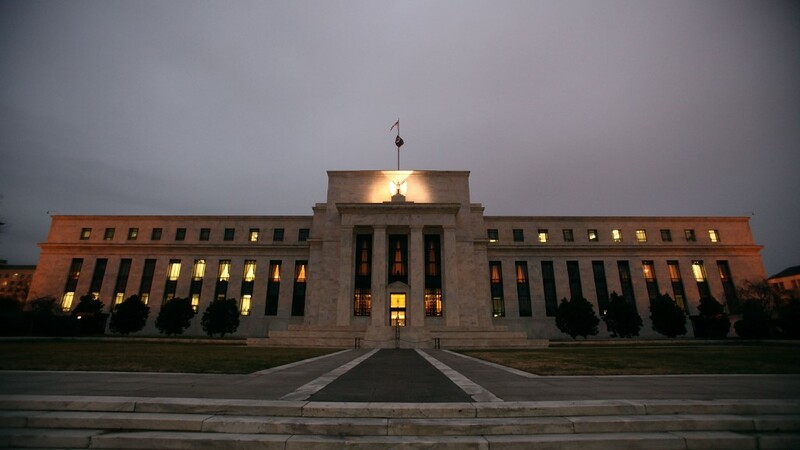 Volatile stock markets, concerns about China's economy and the fall in oil prices at the beginning of the year caused the Fed to reconsider its rate hike plans. At the same time, the U.S. economy has made strong job gains and inflation is moving towards the Fed's target of 2%. In the past month, oil and stocks have rallied while concerns about China don't appear to worry investors as much as they did last year. Markets certainly don't expect an April rate hike. Investors believe there's a 14% chance of a rate increase when the Fed meets at the end of April, according to CME Group.